Worship is about our whole life. We worship because of God’s love and His goodness toward us, and our worship is based on who God is and what that means. 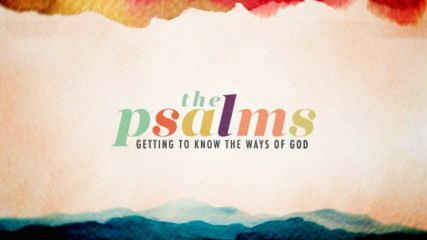 Psalm 119 is the longest book in the Bible and, quite fittingly, it’s all about the Word of God. Life is not fair, but it is just. Fairness is measured on a temporal scale, while justice is measured on an eternal scale. Transparency before God and men brings healing to the soul. We may not be 100 percent responsible for the conflict, but we are 100 percent responsible for our contribution to that conflict. God’s gracious blessing should lead to our worshipful witness. In Jesus we can have confidence in conflict, and we can worship amidst warfare because our God is faithful. God is building His kingdom whether you realize it or not. So you’d better realize it. Sin may cause depression, but not all depression is caused by sin. Everybody in the world is depressed, just to different degrees. Worship is not about us. It’s about the Lamb of God who is worthy, who is sufficient, who is necessary, and who is our inheritance. Worship is not about what you like, it is about Who you love. Regardless of what I think, feel, or am experiencing, God is worthy to be praised for what He has done, is doing, and will do. Experience does not define what is true, but what is true defines experience. Nature testifies, the Word of God specifies, and experience gratifies. And everything is satisfied in the person of Christ. The Bible does not hide from us the reality of real people going through real hardships. Ever since Adam and Eve sinned, “How long, O Lord?” has been the cry of humanity.